The Liberty 4 Consignment software has led the industry by staying at the forefront of what customers want and by listening to what customers need. Want to receive $150 off your software purchase? Our unparalleled experience working side-by-side with business owners has helped us develop the highest quality, a state-of-the-art software product that will fit any business model whether you are getting started with your first location, or expanding your operation to multi-store locations. Liberty4 Consignment is the only software suite that allows you the flexibility to choose a desktop based solution so you can manage one database per location or Resaleworld’s Liberty Cloud, a service that enables you to manage one individual shop or many stores powered by one single database from anywhere. 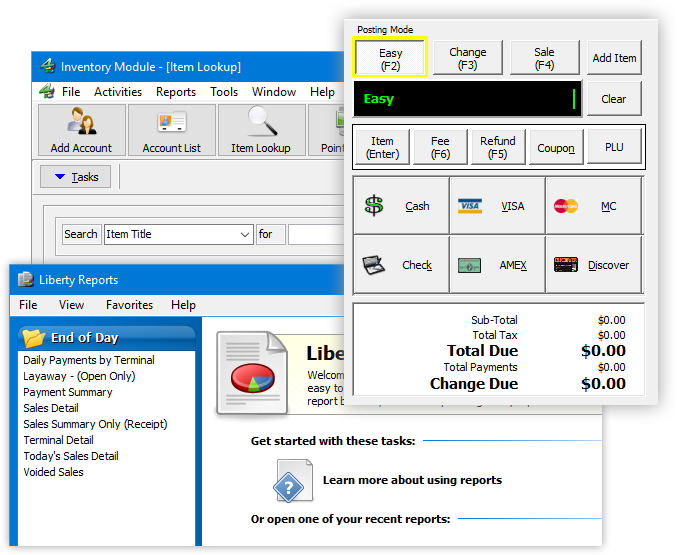 Our Liberty 4 Consignment Desktop software is the best choice for single store start-ups or those that are looking to increase efficiency and automate their procedures for creating accounts, managing inventory, ringing sales, paying consignors and have full reporting capabilities. 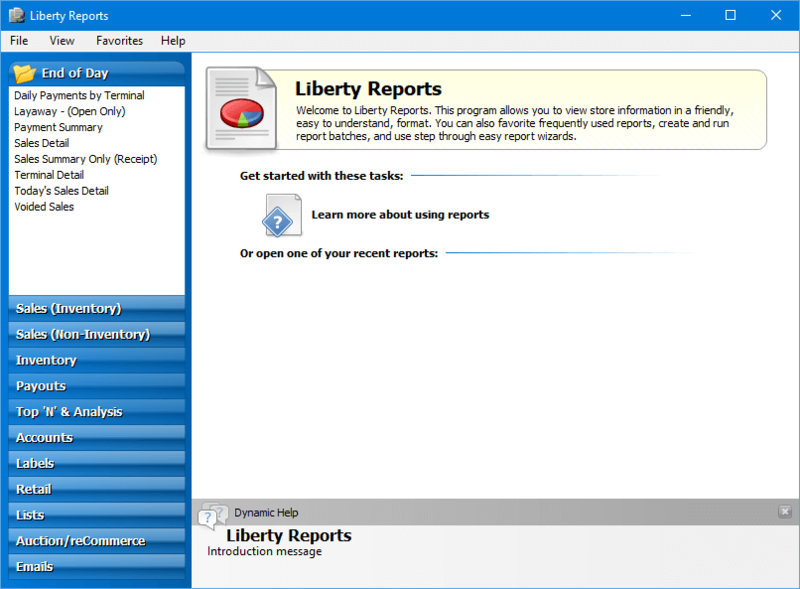 No doubt, Liberty is the most flexible and easy to use software program built especially for consignment and resale businesses. Let Liberty do the work for you! 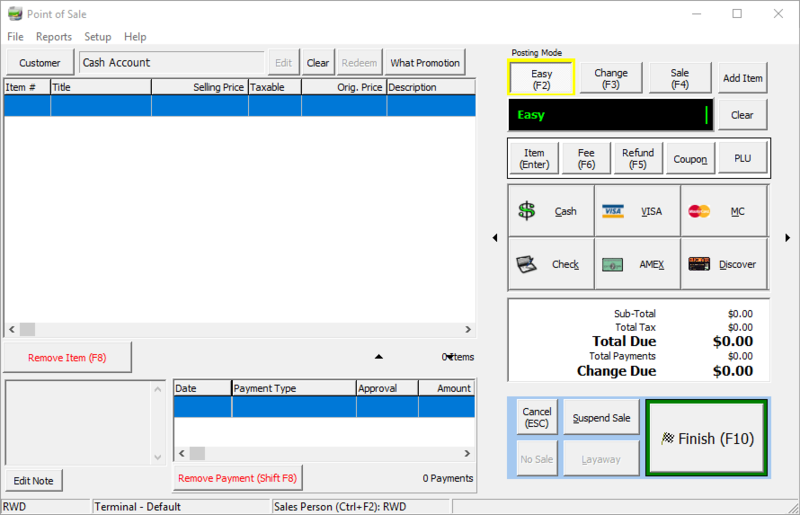 Point of Sale lets you quickly ring up sales and replaces the need for a cash register. It’s a snap creating sales and processing refunds. 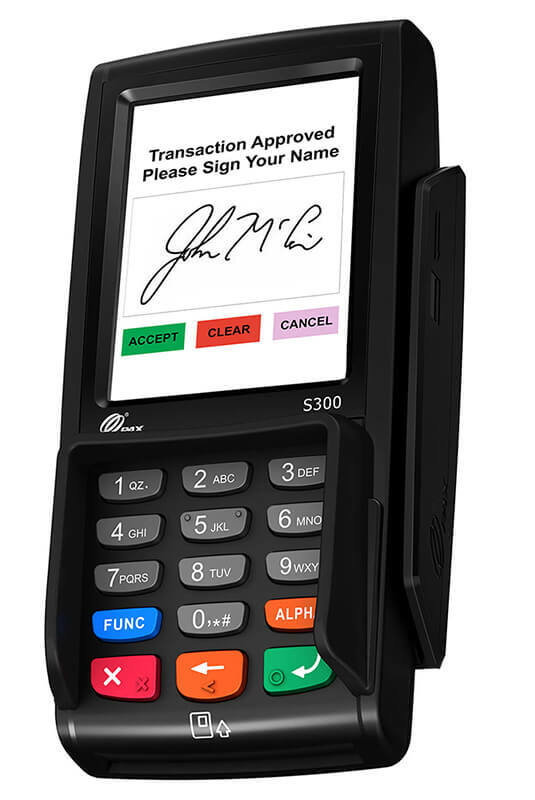 Tracking layaways, rewards, customer purchases and processing credit cards are all included in these highly flexible and feature-filled application. Liberty allows you to pay accounts at any time. 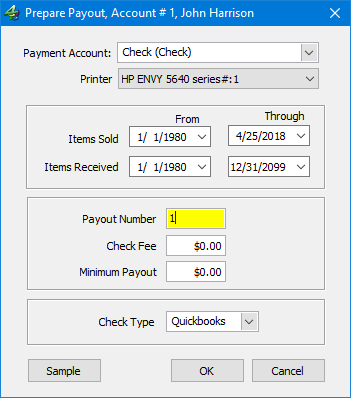 You can make a payout immediately following an outright purchase; you can make a payment on demand if an account walks in or you can print checks at the end of the month while doing a complete check run. 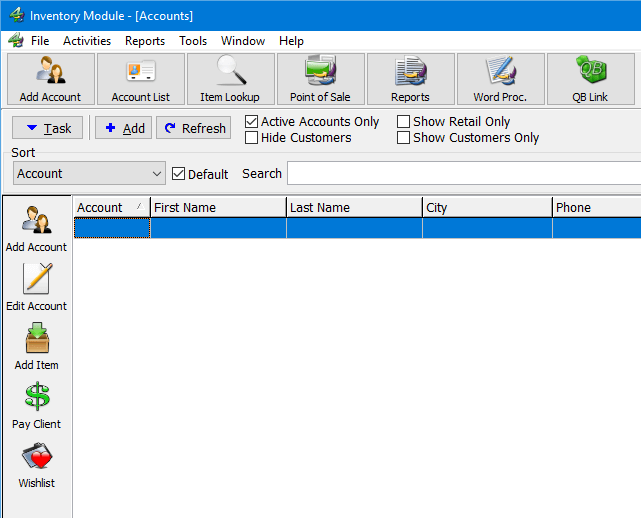 The report writer is a very flexible and well-organized module which allows the user to create a variety of reports which can be saved and rerun anytime. 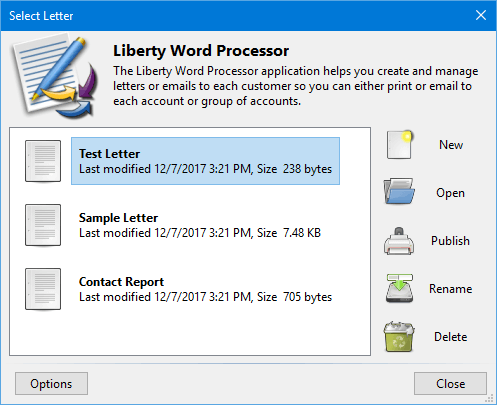 Liberty includes a robust marketing and customer communications word processor which allows you to create event flyers, letters, postcards, contracts, and emails. Built exclusively for our biggest fans. Resaleworld keeps making it better by building additional add-on services and software enhancements that further compliment the Liberty software suite. There is no limit to our creativity. 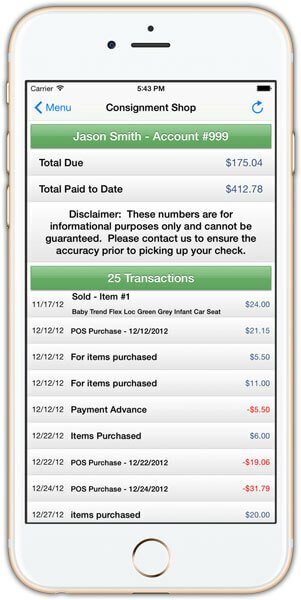 Resale Rewards is a Customer Mobile App Rewards program exclusive to Liberty merchants. Reward customers that shop often and building lasting relationships that will help your business grow. Integrate your Liberty database with a Resaleworld hosted website and begin listing items to your new site directly from within Liberty. 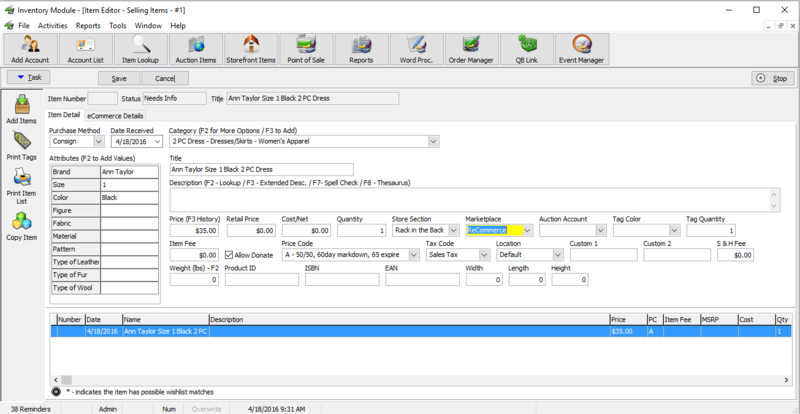 This enhancement will automate most online selling tasks such as updating store and online quantities to reflect recently sold items as well as crediting consignor accounts with the appropriate consignment split. List new items for sale and manage online orders generated from your Shopify hosted website all from within your Liberty4 Consignment software. No need to rebuild your website or start from scratch. You can now integrate your existing Shopify website directly with your Liberty database. Directly link your Liberty inventory to an eBay storefront and manage orders from Liberty. Create new eBay Auctions and Buy It Now listings with detailed images and purchase policies in seconds. No more restraints with our convenient mobile applications. Offer store employees greater mobility with our the Liberty Item Entry app so they can quickly take photos, price items, add new inventory and list products to your reCommerce website in record time. Encourage more shoppers to also consign with you by offering them download the free Consignor Login app so they can quickly check their balance while also discovering which of their items have recently sold. You can also keep a close eye on daily sales with the Sales Summary app while away on business or during those few minutes when checking email during your vacation. The benefits of integrated credit card processing is straightforward and makes running your business extremely effective. 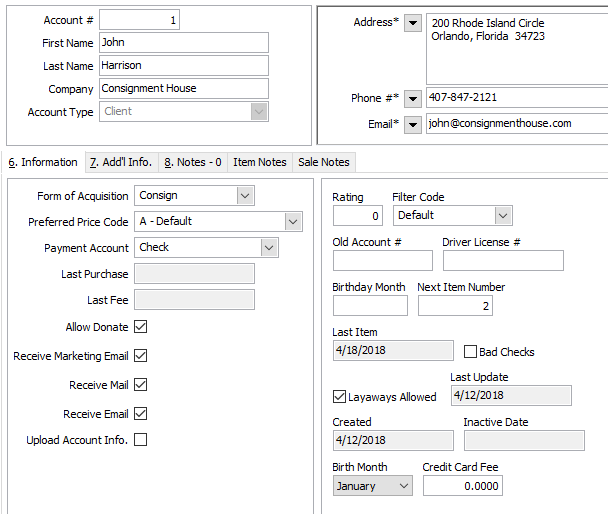 Our Liberty 4 Consignment software can directly integrate credit card and debit transactions to streamline your procedures and provide a seamless approach when ringing sales. With integrated credit card processing, your business can be more profitable by reducing processing fees, delay receiving invoice payments or cash flow, or having to pay an additional member of your staff to ‘balance the books’ at the end of their shift. Most importantly, security is a top concern. The manual method of managing finances leaves your business vulnerable, and in today’s electronic world, banks are not as forgiving with fraudulent or mishandled purchases.